The Berry Schools returns Mr. Case's letter in Miss Berry's absence and recommends Miss Cora Neal for whatever work she is asked to do. 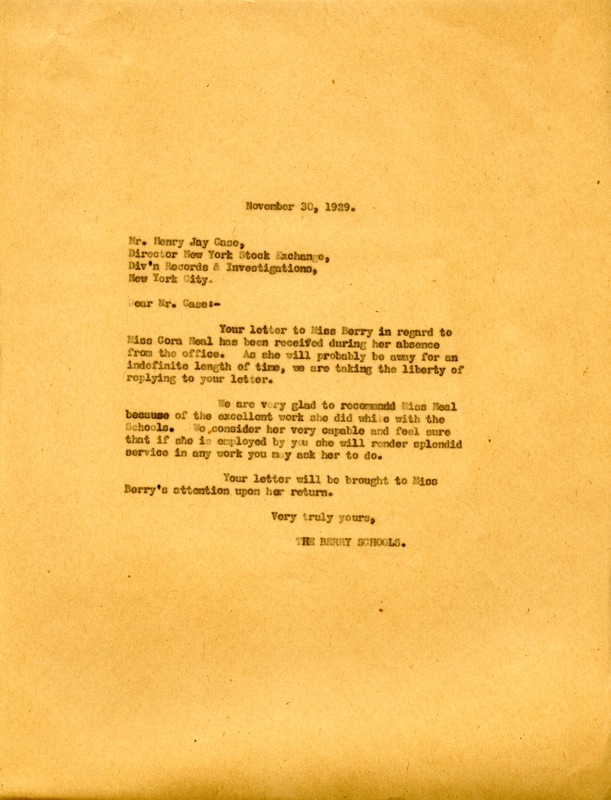 The Berry Schools, “Letter to Henry Jay Case from The Berry Schools.” Martha Berry Digital Archive. Eds. Schlitz, Stephanie A., Chelsea Risley, et al. Mount Berry: Berry College, 2012. accessed April 21, 2019, https://mbda.berry.edu/items/show/9747.